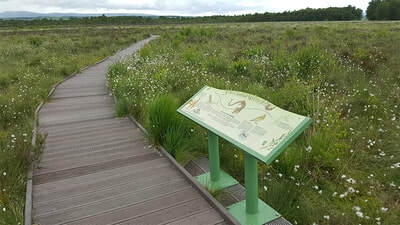 Flanders Moss is a raised bog located in Stirlingshire, Scotland. 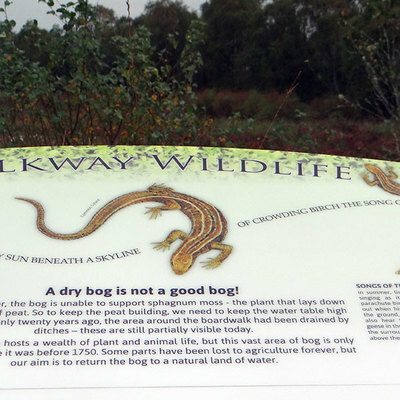 It's a wonderfully wet and squelchy place with stunning views across the bog. 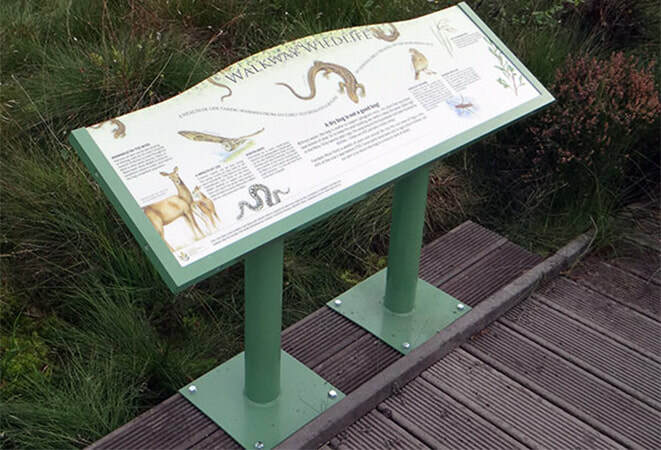 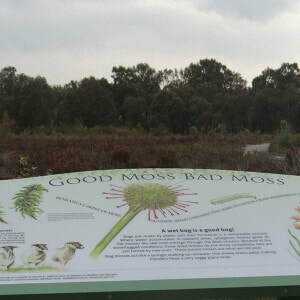 We worked with Differentia to produce six panels for the Flanders Moss boardwalk that winds through the wonderful peat bog. 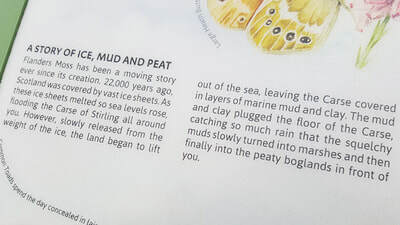 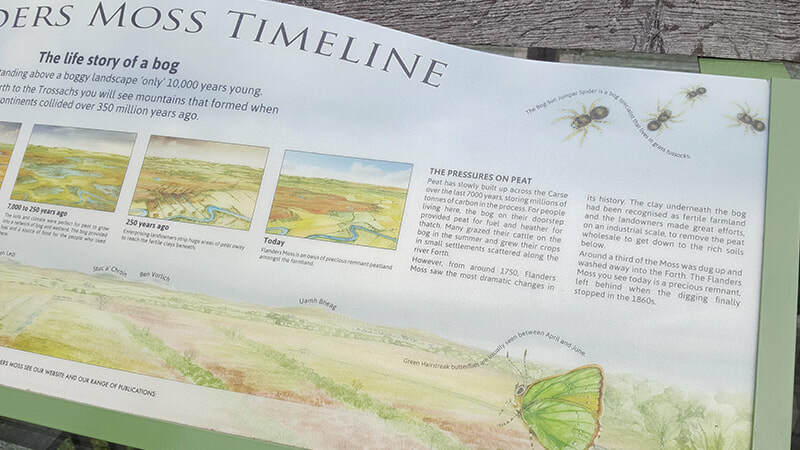 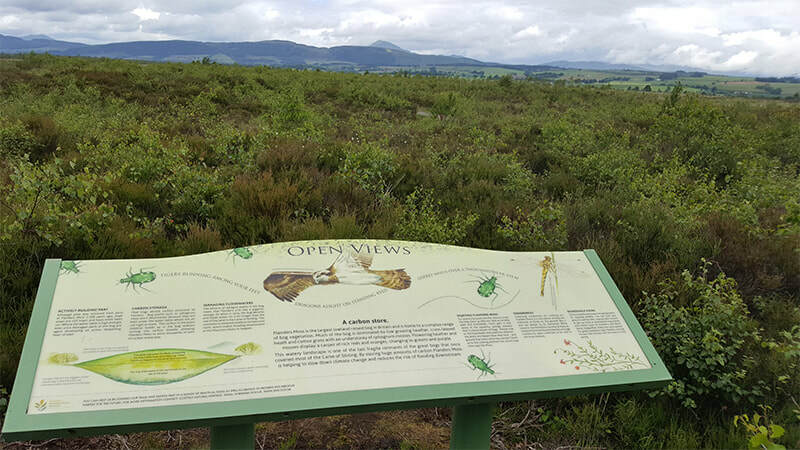 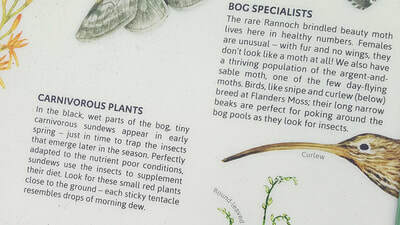 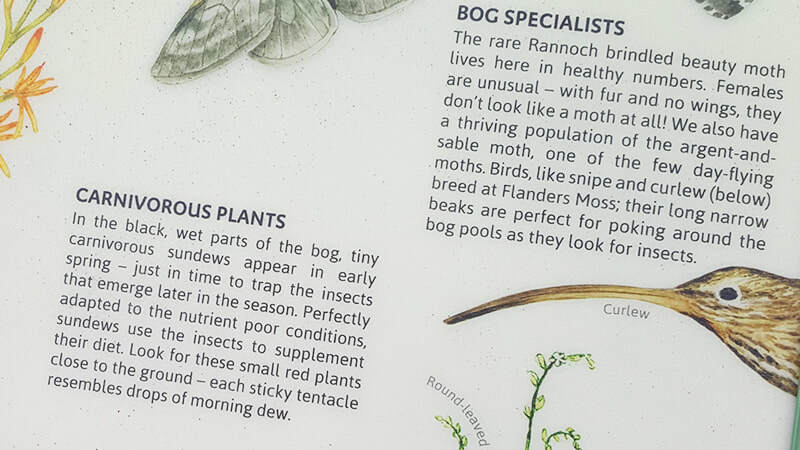 Our role was to provide all the interpretative copywriting, telling stories of how the bog came into being, the animals and plants that live on the bog, its human history - bog lairds and peat cutting, and also the conservation strategies of recent years. 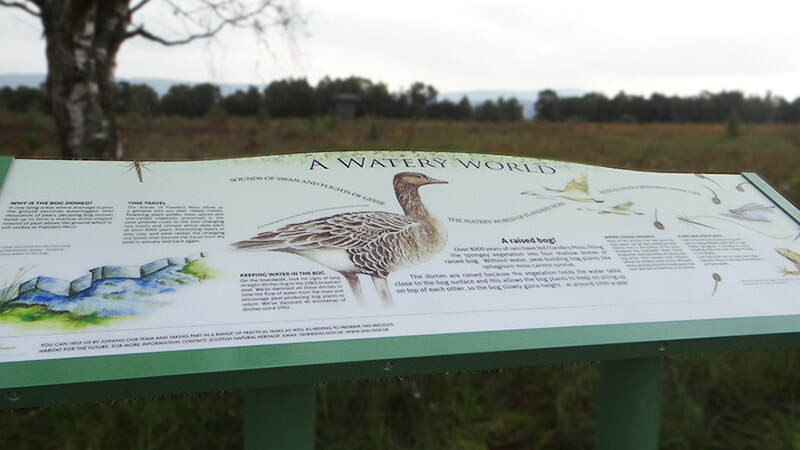 Our team tested a sample panel with the public before producing the final panels, and then another two panels for the viewing tower.